CASPIAN ECOLOGY - How to preserve the beauty and richness of nature? This question is answered in detail by the 9th Azerbaijan International Environmental Exhibition, Caspian Ecology 2018. On November 14-16, Baku Expo Center will host an international dialogue on protection of the environment. Сaspian Ecology 2018 is a significant event on ecology and environmental protection in the Caspian and Caucasus regions. The exhibition unites local and foreign companies in the field of environmental protection, and is the best meeting place for like-minded people of the project “Ecology for all of us” and professional ecologists and biologists who expand the perception of others about the diversity of living and inanimate nature. The exhibition is supported by the Ministry of Ecology and Natural Resources of the Azerbaijan Republic and the Public Association IDEA. 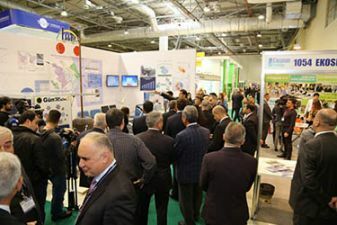 The exhibition will be held at Baku Expo Center from the 14th to the 16th of November.